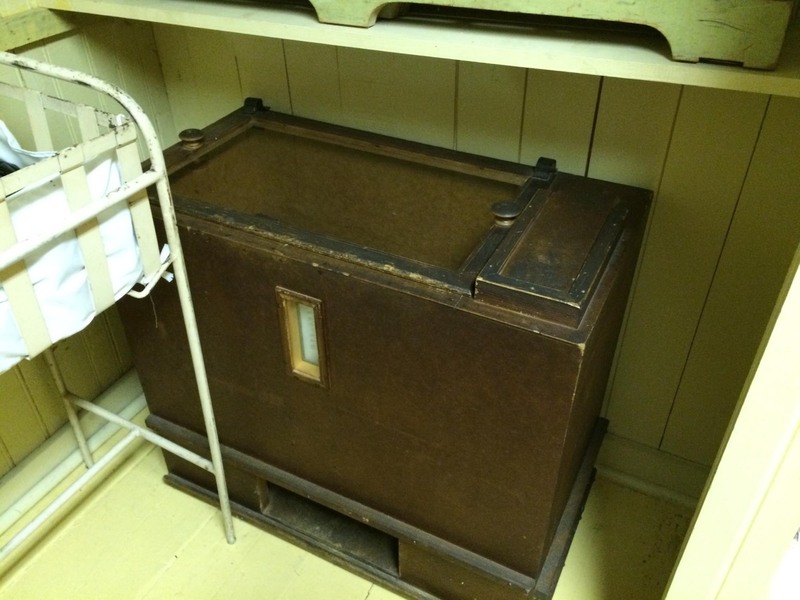 This hot-water incubator was already considered an antique when it was rushed from Chicago by newspaper reporter Charlie Blake in late May of 1934. (The Dionne home had no electricity, rendering modern incubators useless.) Built for just one infant, it was large enough to hold Cécile, Émilie, and Marie Dionne if they were laid crosswise.